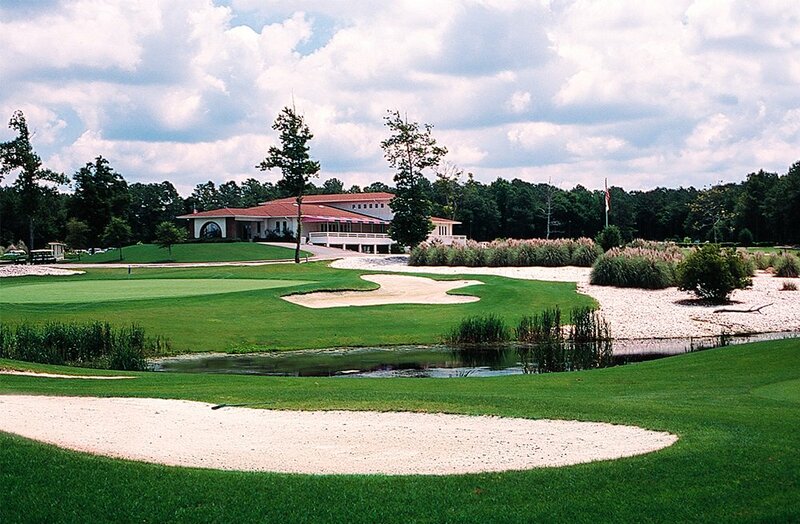 Sister golf courses Pearl East and Pearl West rise from the majestic banks of the Calabash River in Calabash, N.C., near Myrtle Beach. Rounds of golf spent here will be treasured like the namesake ocean finds. 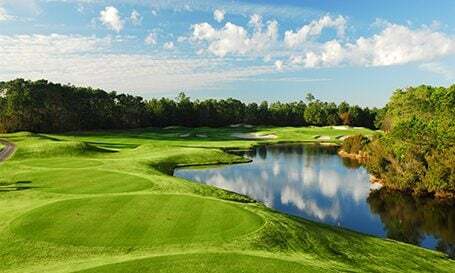 The sister pearls, in fact, earned a “Best New Public Courses in America” after initially opening in 1987. 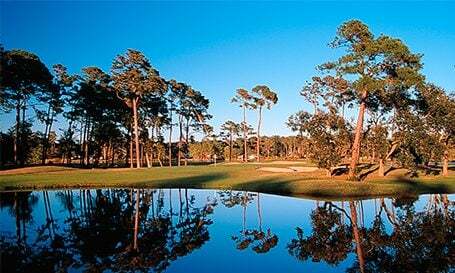 And the West Course was bestowed a 4.5 star rating in Golf Digest’s “Best Places to Play” in 2004. The Pearl Golf Links – West Course, a links-style layout, was designed by the renowned Dan Maples around a marsh and forest setting. Holes No. 14-18 dramatically finish on the bluffs of the marshland and river. Wide open fairways are bordered by pretty pampas grass. Gorgeous details are apparent everywhere, which is why the groomed grounds of this championship course has been site major tournaments. Measurement totals are: 7,006 yards, 72 par and a slope of 131 in the 18 holes. All staff were very friendly and knowledgeable. Time of year with storms made conditions wet. Understandable. I expected better conditions at The Pearl West Course based on the numerous positive reviews. However, the tees are atrocious - they are not level and the grass is poorly maintained (where there is grass); overall, the condition of the tees is no better than the grass in a backyard. The greens are really soft. However, they are so slow that the putting is similar to putting at a municipal course. Thankfully, the fairways and rough are in excellent condition. Overall, we expect better conditions for a golf course in the Myrtle Beach area. was a slow day and the wife and I were able tp play alone. pace of play was perfect course was in good shape, good time. The course was in very nice shape, but the greens had a lot of bad spots. Really took away from the round. The greens were fantastic. By far the best greens we played on the entire week. Unfortunately the tee boxes were mostly terrible. Several had only sand, not any grass. The fairways were ok, not great. The guy in the pro shop, was extremely helpful and very nice. The attendants didn't give us any information about the course, just sent our group off to play. Another North Carolina course with hard greens. If the courses don't make the greens more receptive, I can see the tourists going elsewhere. Although hard greens need less maintenance, they're not condusive to getting much repeat business. Wide open fairways, enough trouble to make it fun, generally well kept. The greens were not in the best shape this year, but still a nice course to start our week off.